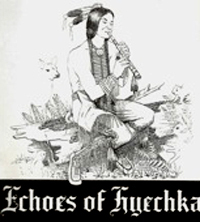 Hyechka (pronounced Hi-eech-ka) is the Creek Indian word for music. Organized in 1904 when Tulsa was still an Indian Territory small town, Hyechka is now the oldest and largest music club in Oklahoma; membership is open to all who love fine music. The purpose of Hyechka is to advance and promote music in Tulsa and to provide opportunities for its performing members to share their musical skills by performing on its free and open to the public programs and meetings, generally the first and third Wednesdays from October through May. Hyechka also has a tradition of presenting artists of international renown as cultural gifts to the city. It is credited with establishing music education a regular part of the Tulsa Public Schools curriculum in its early years and continues to give financial support to music in the schools through its very active Civic Committee. Approximately $20,000 in high school and collegiate scholarships are offered each year through Hyechka’s Scholarship Program. At least one annual major fundraiser is conducted, along with two formal luncheon programs, the Silver Brunch (usually the first Wednesday in December) and the Spring Luncheon (usually the first Wednesday in April). Hyechka proudly boasts of its well-trained women’s chorus, which rehearses weekly September through May, and performs regularly on Hyechka programs and at music outreaches to the underserved segments of the Tulsa community. Chorus membership is free to Hyechka members. In cooperation with Tulsa Historical Society, Hyechka produces Music at the Mansion concerts, 1:30 p.m. 3rd Thursdays from September through June at the Travis Mansion of THS. The Hyechka Student Department provides performance opportunities for its younger members. For information contact Carleton James 918-294-9887, office, Treasurer, Carleton@cjamesattorney.com.